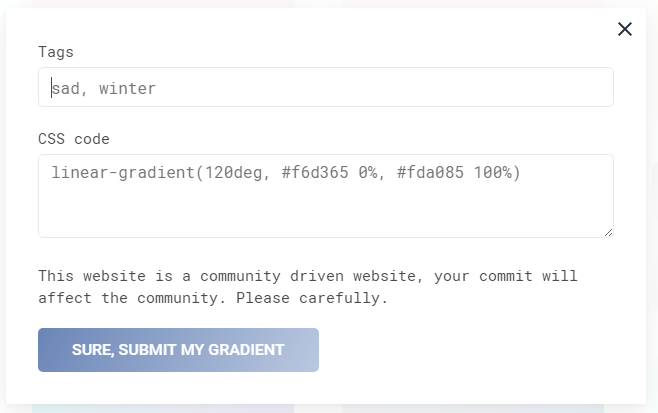 The purpose of the Gradient Hero website is to save beautiful gradients for later use and for sharing with everyone. 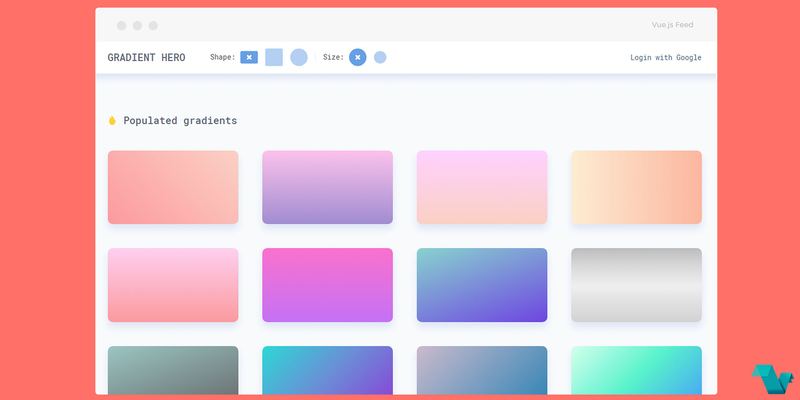 Built with Vue.js and the free package of Google's Firebase server, is serving a beautiful collection of various color gradients, although it can only accommodate 100 visitors at the same time. If you would like to know more about this project, head to its Github repository to study the source code and give it a star! Author's comments: This site is my own design and also code itself & the site needs funding. If you feel like contributing to the community, please consider donating.